Consumerism is the trend of today’s culture. Buy something. Throw it away. Buy an ‘upgrade’. This way of thinking has led to a wealth of rubbish and wasted products and material. Each UK household produces over 1 tonne of rubbish annually, amounting to about 31 million tonnes for the UK each year. This is damaging to the environment and also takes up valuable land. In the mind set of ‘new is better’ the corporate world can continue to entice the population to discard and replace indiscriminately. 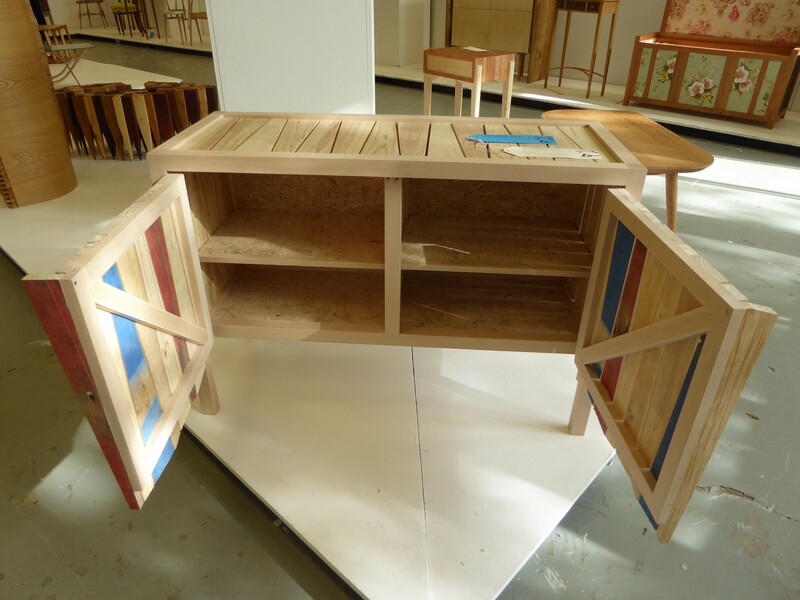 My name is Elliott Hamer and I am a third year degree student at Rycotewood Furniture College in Oxford, studying for a BA in Furniture: Design and Make. Last year I decided to look into reusing materials to create a storage piece. After seeing the large volume of pallets which were in the skips around the campus I decided to focus on using this free resource. 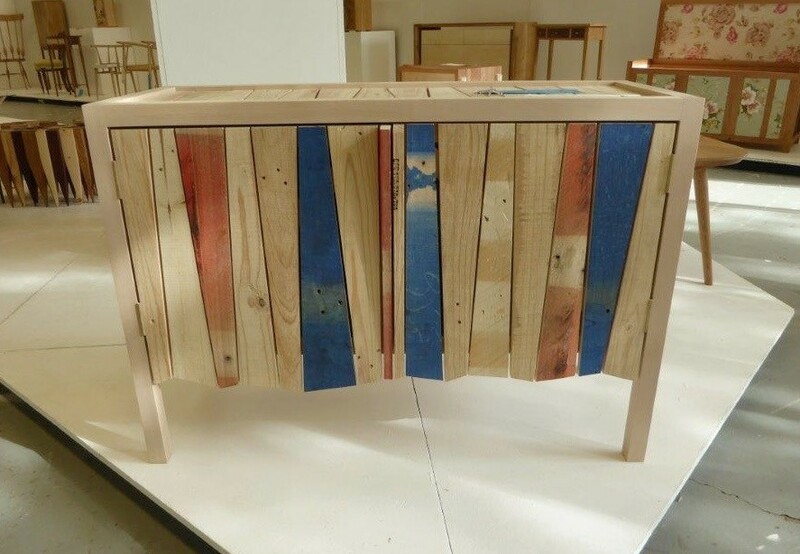 I wanted to make a piece which did not resemble the form of a pallet but clearly showed the beauty of the rough, scratched material and make it evident that the wood had been salvaged. I settled on a design for a sideboard, which also incorporated reused OSB and clean dried beech timber. 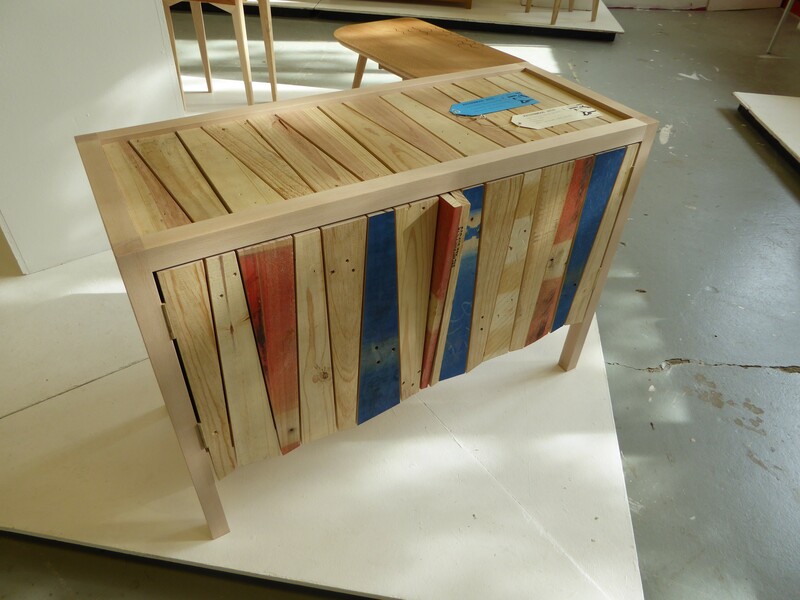 I aimed to make a piece of free standing fine furniture, not something that could be made ‘at home in your shed’, to help prove that reused materials could be used to create fine furniture. I strongly believe that through reusing and ‘up-cycling’ products and materials the environment can be greatly improved. Less natural resources will be sacrificed for the sake of consumerism and greater economic gain. 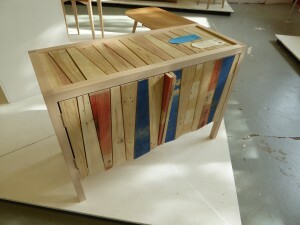 Something of beauty can be created from unwanted, discarded ‘rubbish’. 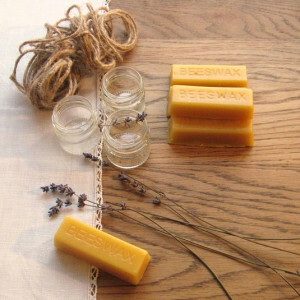 Find out more about Zero Waste Week here, and if you want to start at the very beginning, check out gNappies for the work they are doing to minimise waste with their eco nappies too – from the cradle… etc! That looks absolutely beautiful; I love how you’ve repurposed an item that is usually discarded. SO not flatpack LOL! Thanks for tagging #zerowasteweek with this post too; our theme is reuse so this ties in brilliantly. Keep up the great work! thank you Rachelle – brilliant coverage for Zero Waste Week this year – well done! I’m glad to see more people involved in this movement! 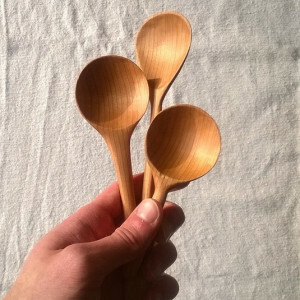 You concept /product/ is really amazing and I hope that people will see how much opportunities they have when choosing to reuse their waste and rubbish instead of throwing it away. Wish all the best and keep up the good work!